The first 3 bits define the PHB (per Hop Behaviour) and the remaining 3 bits define the Drop Precedence. Class Selector PHBs—which maintain backward compatibility with the IP Precedence field. 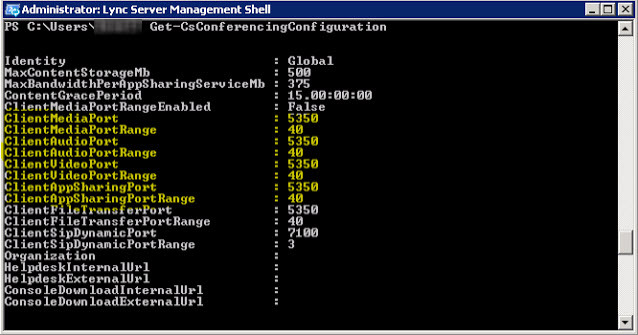 The most commonly used PHB is AF (Assured Forwarding). Assured Forwarding is made up of 4 Classes from 1-4 –where 1 is the highest priority. These classes are then further segmented by 3 (low, medium and high) Drop Precedence markings. Thus looking at the class and drop precedence combination a complete understanding of DSCP is possible as indicated in the table below. The first 3 bits make up the first digit, the next 2 bits make up the second digit, the last digit is ignored by the AF classes. EF class 46 is universal voice DSCP marker (the highest class) and AF class 34 is used for video. 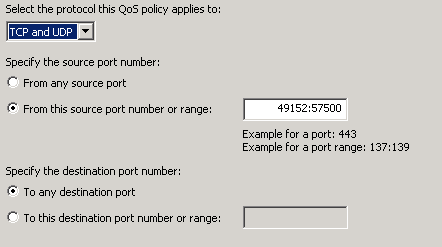 Since I want to keep things really simple I will enforce EF class 46 to the application and then specify the port range 49152 – 57500 for Audio. Video will get AF Class 34 using port 57501 – 65535. To avoid further confusion, AF 46 and EF 36 will simply be refered to as DSCP 46 and DSCP 34. 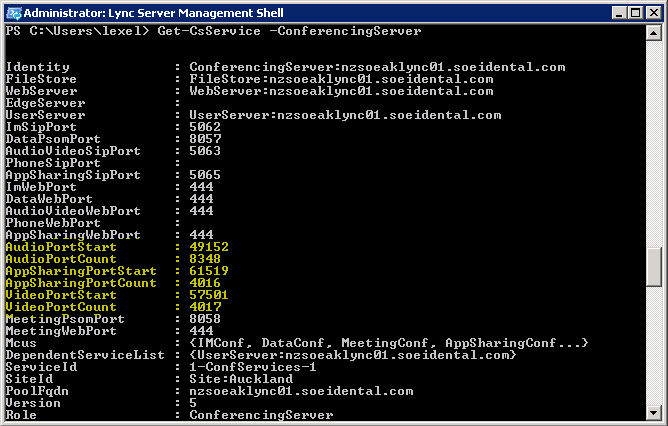 On this page we can select the application to add the DSCP markings to, however I have opted to attach the DSCP marking on traffic based on the ports used as a simpler approach. 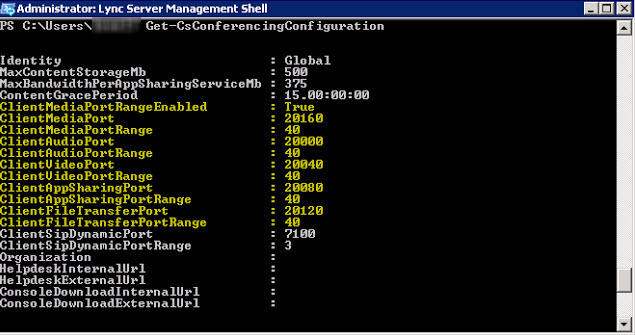 Once again the communication type is determined based on the port range specified as will be seen later. Also keep in mind that you don’t want these ports overlapping. 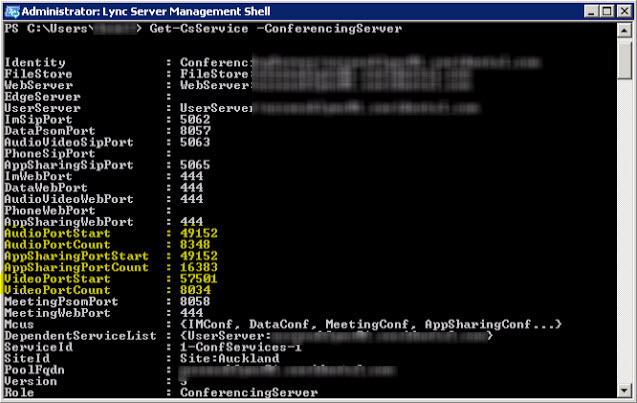 Client Media ports are used by OCS R2 (as they can’t determine different traffic types) and Lync uses the Audio, Video, App sharing and File transfer Ports. File transfer is only specified in Peer-to-Peer traffic. 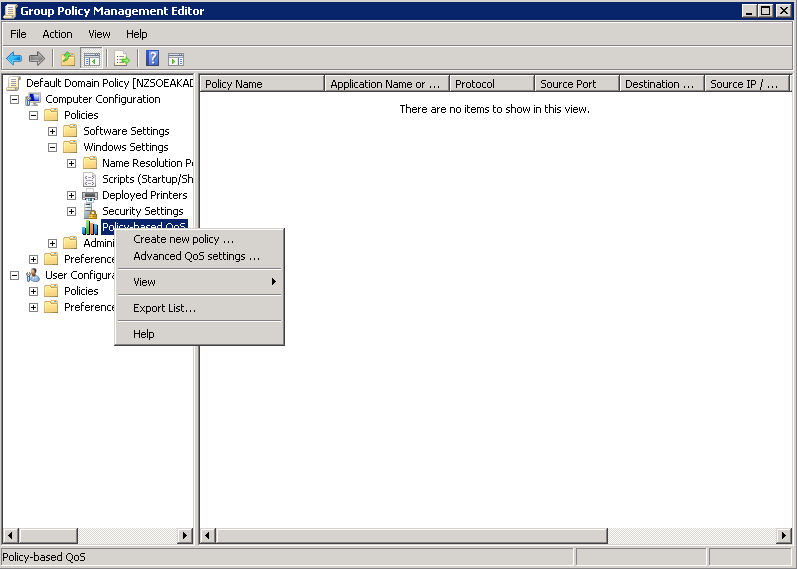 You can’t run policy-based QOS on XP (or Windows Server 2003). 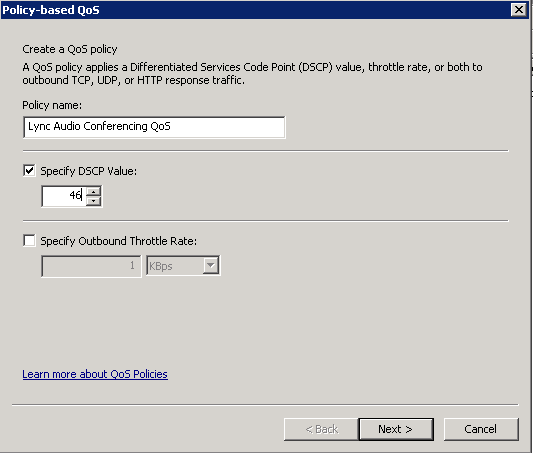 For QOS on these clients you need to run QOS Packet Scheduler on the client computer and a Domain policy must allow the computer to use QOS Services. Click any connection, and then, on the File menu, click Properties. 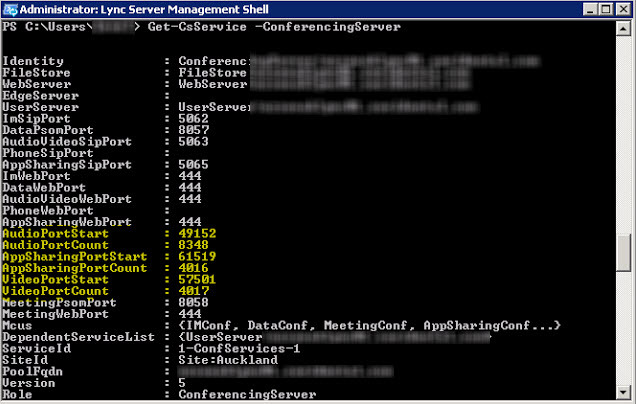 Start the Lync Server Management Shell: Click Start, click All Programs, click Microsoft Lync Server 2010, and then click Lync Server Management Shell. The client must be stopped and restarted for the change to take effect. Diff Serv Code Points – Assured Forwarding explained. The first 3 bits make up the first digit, the next 2 bits make up the second digit, the last bit is ignored.